Dave, affectionately know to Cellar Ridge as “The Red Hammer”, is our field crew leader. Dave makes sure our hammers swing swiftly, and our measurements always accurate. 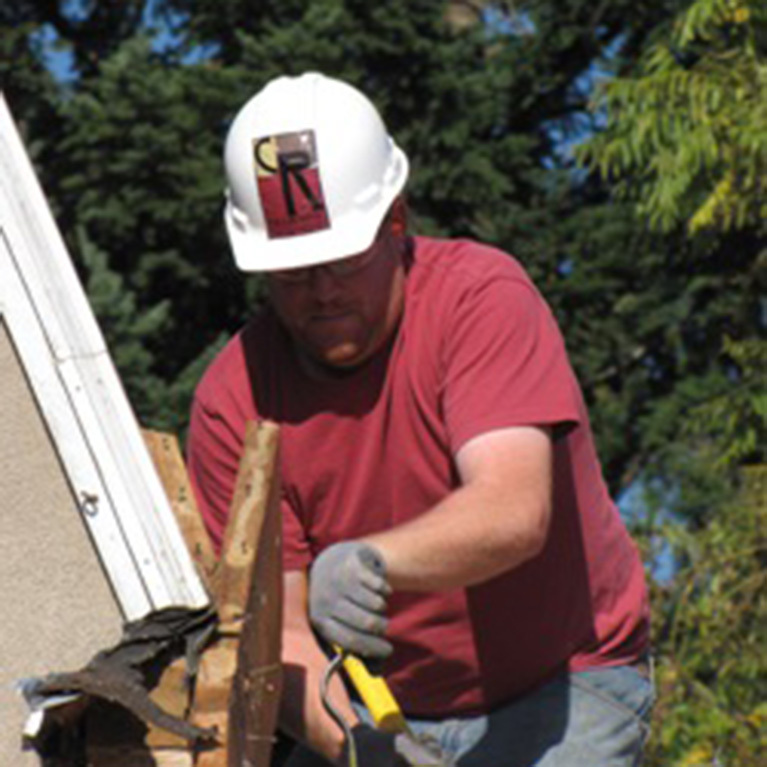 Although he was born in Zeeland, MI, The Red Hammer calls Yamhill County his home. Dave has been busy in the construction industry for the past 15 years. Creating and crafting products that make our clients happy is Dave’s chief delight on the job. Dave’s superpower, if he were allowed just one, would be to read peoples’ minds and deliver exactly what they wanted, every time. Additionally, if Dave were to be any tool, he would most definitely be a mighty sledgehammer. Along with his son, Augie (The Little Red Hammer), Dave makes sure to get out camping and cooking and revel in his favorite thing about this area: the friendly and diverse mix of people you meet every day while building green.